In the 70s (or was it the 60s? I can't remember...) Jon Hassell came up with his Fourth World Music concept. Soon after, other folks began to carry on in the same general terrain. Michael William Gilbert's early 80s releases – In the Dreamtime and Moving Pictures – were arguably the first to do so. Lately people like Rich Goodhart have continued the tradition, and now we can add Land to the list. What this American septet (which boasts three percussionists) does differently though, is to stress a more funky, even danceable temperament in parts, with Chapman Stick providing the grooves, and heavy accent on the drum work. In the percussion department the scenario is dominated by hand drums, and the playing is in an Indian style; one piece even includes the spoken “boles,” a kind of onomatopoeic solfege system for rhythm that Indian musicians use to transmit drum patterns. Keyboards by Jeff Greinke (a composer with numerous ambient projects to his credit), and trumpet provide the textural foundation, featuring more melodic motion, less trance inducing, than others in the genre. But for me the drummers really steal the show. American groups in this idiom, such as Land, usually steer clear of the hippie / drug / psychedelic trap that the Europeans so love to fall into; and the former are much better off for it. 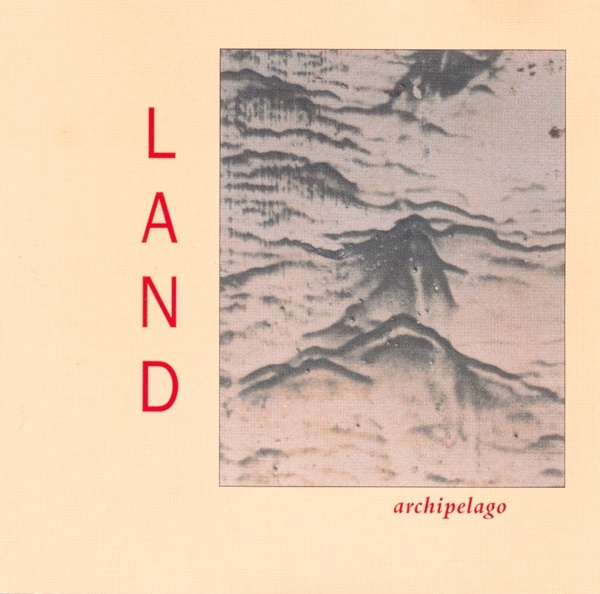 Spoiled in one spot by vocals, and in another by drum machine, Archipelago nevertheless has much to recommend it.